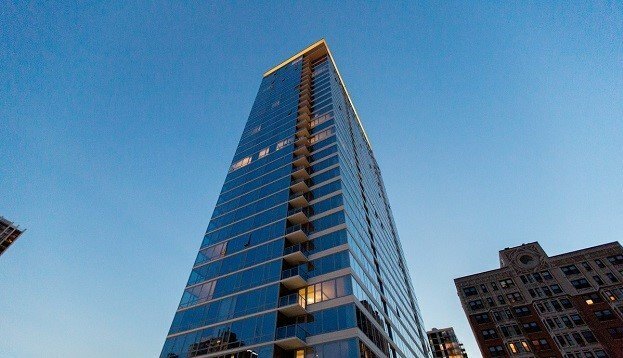 The Sinclair, the new 390-unit luxury apartment project at 1201 N. LaSalle St. in Chicago’s Gold Coast neighborhood, was 95% leased by July 1. The Sinclair is the first new apartment tower that the Gold Coast has seen in decades. CHICAGO—Some observers worried that the quick pace of new multifamily construction in many Chicago neighborhoods would create a downtown apartment glut. But so far, the city’s newest apartment towers are filling up.